In the Cleveland area, there are unquestionably many options for one to host a birthday party. The choices can be overwhelming with finding that perfect location taking quite a bit of time, while also putting unnecessary pressure on everyone involved. The party planning process and the party itself should be fun, not stressful! At Scene75, the guest service team is dedicated to ensuring a quick, easy party booking process that ultimately leads to a memorable event for all in attendance. 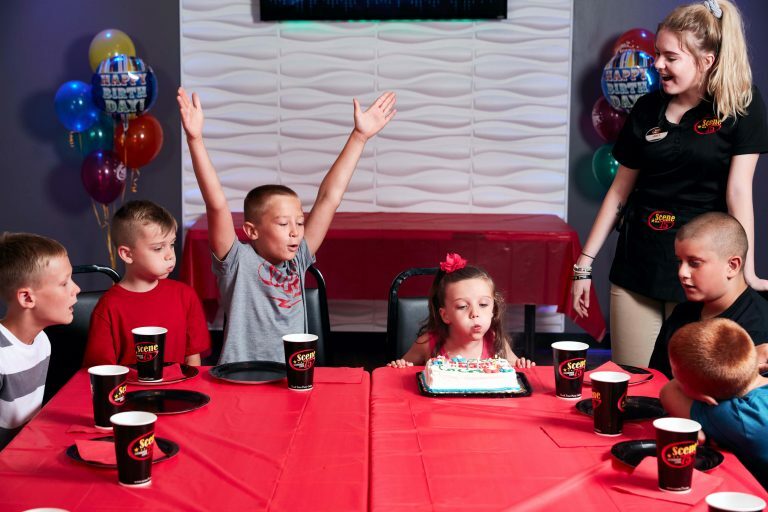 A birthday party at Scene75 can be customized to include various attractions, games, food and more. For example, if you like bowling, you can rent the entire mini bowling lounge and have a private party for you and guests with lane side service of food and fun. If bowling isn’t quite your guest of honor’s cup of tea, do not worry! 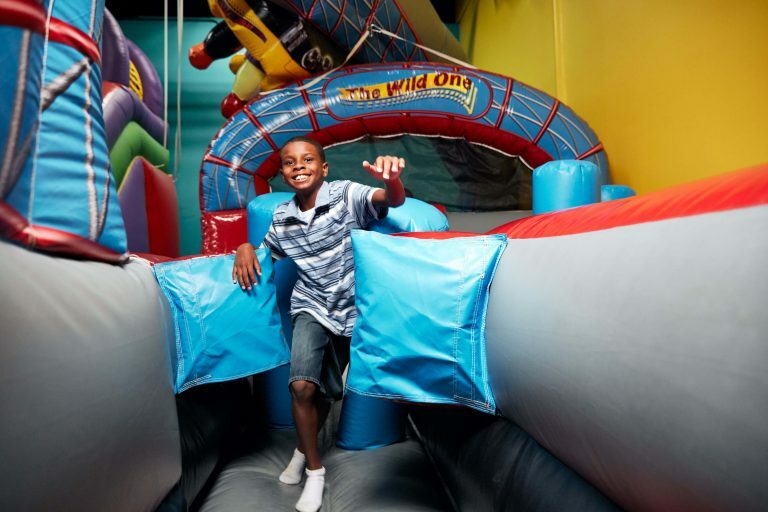 With attractions that include bouncing, go-karts, blacklight miniature golf, laser tag, bumper cars and more, you are certain to create a party that will exceed expectations. Additionally, virtually all packages at Scene75 include arcade gameplay as the facility features more than 150 classic and newly released arcade games. But perhaps best of all, Scene75 party planning specialists will walk you through the entire process to ensure a smooth booking process and a customized celebration. The day of the party you will be able to relax as well. With at least one party host dedicated to each birthday party and a private party room for your party only, you will be able to enjoy your event rather than run it. Scene75 party hosts are more than just a wait staff; they are entertaining, helpful and dedicated to making every party a great one for all participants. The party hosts understand birthdays only come around once a year and thus they set out to make yours as special as it can be! With so many ways to customize the Scene75 birthday party experience, it is no surprise that the facility hosts more than a thousand birthday parties each year. That being said, it is best to reserve your date and party package as soon as able to ensure you get the time slot and attraction offerings that most excite you and your guest of honor. With so much fun under one roof for all ages, your Scene75 birthday party in Cleveland is certain to delight!